Disney Channel series “Girl Meets World,” “Jessie,” “Dog With A Blog,” “Liv and Maddie,” “Austin & Ally” and “I Didn’t Do It,” along with Disney Television Animation’s “Mickey Mouse,” “Gravity Falls” and “Wander Over Yonder,” will also premiere all-new episodes. Disney Junior programming block will present new Halloween-themed episodes of the award-winning series “Sofia the First,” “Doc McStuffins,” and “Jake and the Never Land Pirates,” beginning FRIDAY, OCTOBER 3rd. 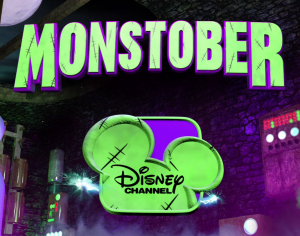 Disney XD will also host all-new Halloween-themed episodes of its popular animated and live-action shows, including “Lab Rats,” “Mighty Med,” “The 7D,” “Marvel’s Hulk and the Agents of S.M.A.S.H,” “Randy Cunningham: 9th Grade Ninja” and the upcoming new series “Kirby Buckets,” beginning FRIDAY, OCTOBER 17th. 10:00 am-8:00pm – Marathon featuring encore presentations of Halloween-themed episodes and movies. 2:00pm-10:30pm – Marathon featuring encore presentations of Halloween-themed episodes and movies.